Are you paying more for Unprofessional Locksmith Services? We provide Professional and Quality Locksmith services at Lower Prices than Unlicensed Locksmiths. Unlike other Locksmiths, we are WCB covered, meaning Liability is not placed on the Home or Business Owner in the event of an accident. At A-Line Locksmiths, we offer a variety of services designed to meet all your lock and key needs. We can make keys and change locks, and we do it all quickly, efficiently and at affordable rates. With 25 + years of experience in the industry, we are lock and key experts who can handle virtually any task with ease and unparalleled professionalism. Our service technicians are the best around, so give us a call today and let us know how we can be of assistance. 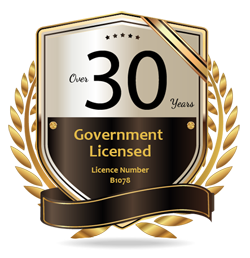 We are Government Licensed, Trades Qualified Locksmiths! For your protection we are B C Government licensed, Trades Qualified and WCB. 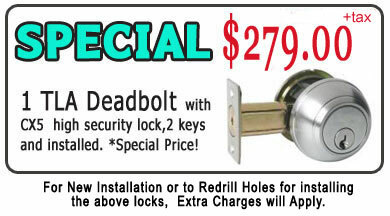 We change locks, install locks, rekey locks, master key locks for residential and commmercial. We supply and install High Security locks such as Medeco, Assa, Multilock and CX5. 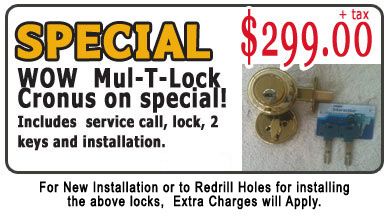 We supply and install apartment and commercial mailboxes locks. **Please note, we do not service vehicles. See the #1 way that burglars get into your home or business! Serving Vancouver, Richmond, Burnaby, Delta, New Westminster and Surrey for over twenty five years. I love my new locks and doorknobs. When I enter and exit a room I know I can just gently pull the door to and it will latch and hold. The locks are amazing compared to my previous locks. The keys work when you put it in the lock- no more pulling and pushing trying to coax the key to turn as I had experienced with the latches on my other doors. A-Line Locksmith has provided Ocean Ridge Holdings Ltd., and their various tenants, exceptional service for the past 6 years. A-Line Locksmith's quality of work, dependability, responsiveness and superior customer service is outstanding. We insist on maintaining close communication with all of our contractors/suppliers. A-Line Locksmith always informs us of the status with the current project/service call and continuously brings forward new ideas for improvement. We have no hesitation in recommending A-Line Locksmith and suggest that any company looking for quality service, would be pleased to develop a business relationship with A-Line Locksmith. –Kathy Gibson , Ocean Ridge Holdings Ltd.